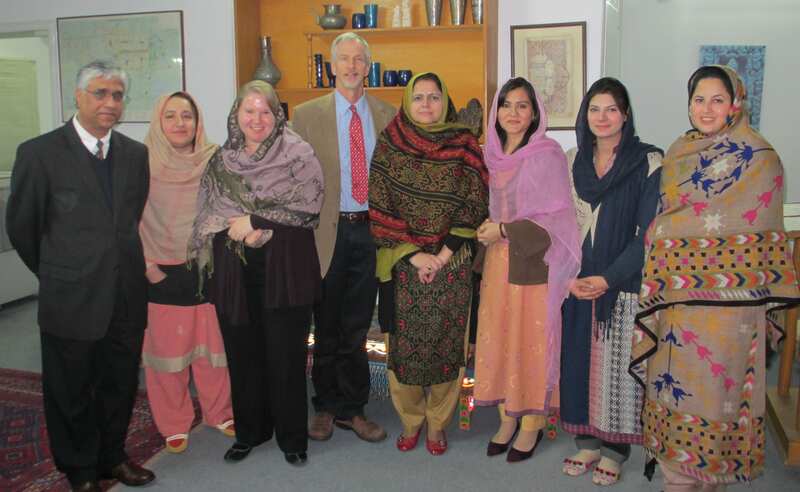 In January, the Psychology Department began a three-year partnership with the psychology department at Shaheed Benazir Bhutto Women University in Peshawar, Pakistan. Funded by the U.S. State Department for more than one million dollars, the grant provides funds for activities that include: a) faculty development through exchange programs; b) new computer, distance learning, and research equipment; c) research collaborations; d) curriculum enhancement; e) creation of psychology center; and g) enhanced clinical services. Dr. George Holden is the project director. Also on the team from the Psychology Department are Drs. Buck Hampson and Lorelei Simpson Rowe. Javed Azam is the program director. Holden, Rowe, and Azam traveled to Islamabad in December to meet their new colleagues.